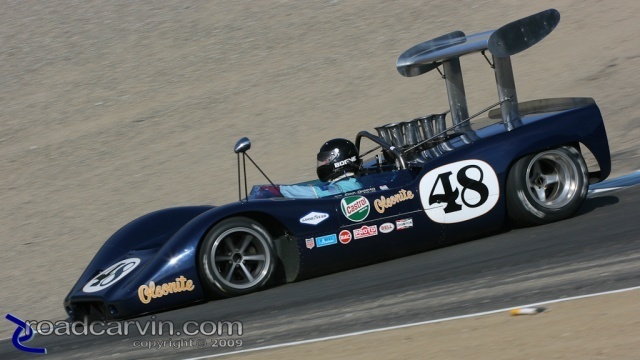 1968 McLeagle was originally raced by Dan Gurney. 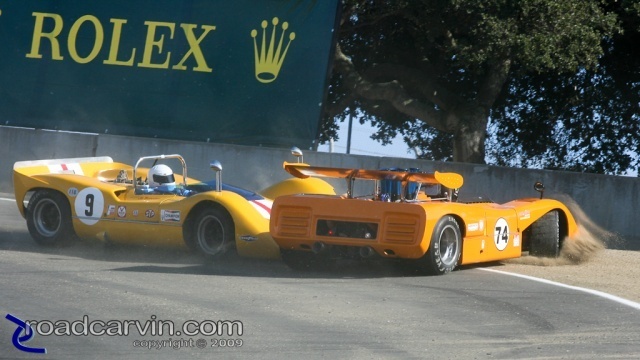 #9 1968 McLaren M6B and #74 1971 McLaren M8E get together in the corkscrew. 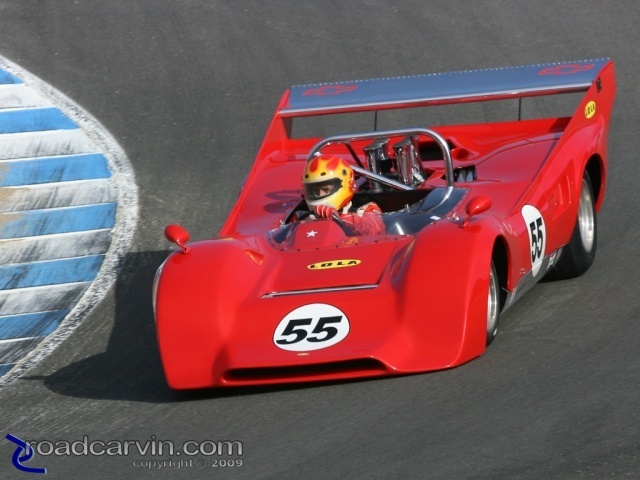 1969 Lola T-162 in the corkscrew. 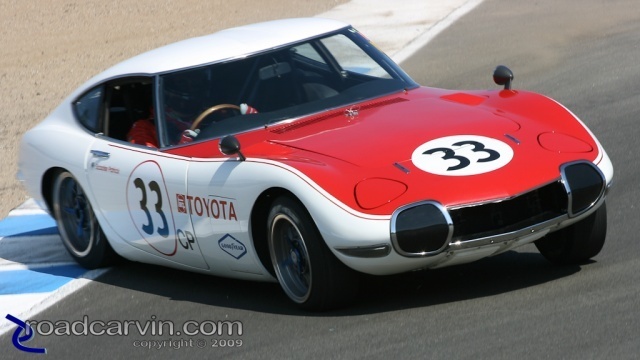 Toyota GT 2000 spinning out in the corkscrew during exhibition laps. The detail on the vintage races cars is amazing. 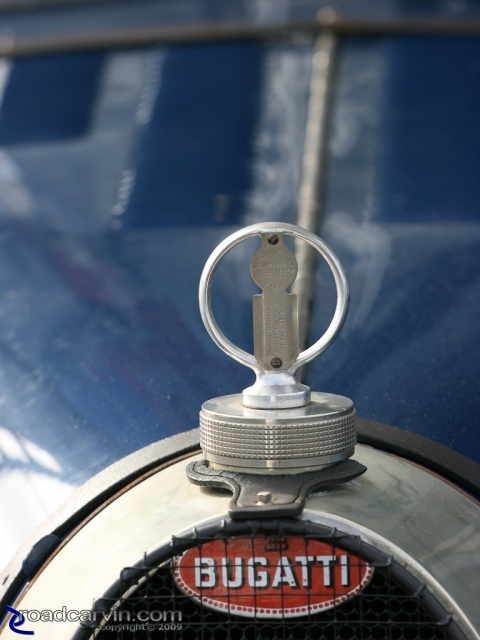 This Bugatti radiator cap caught my eye. 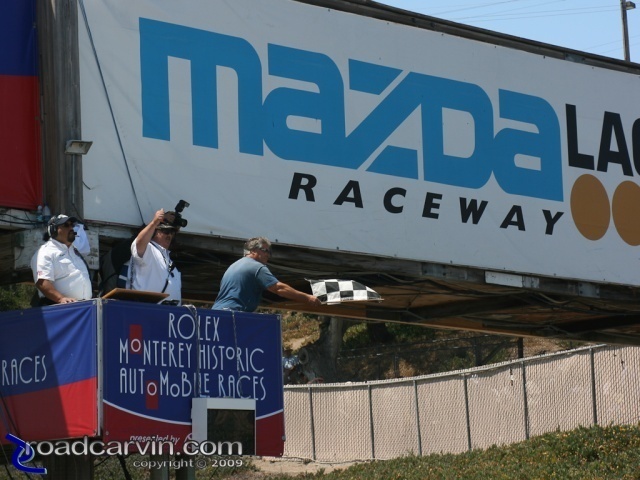 Mario Andretti waiving the checkered flag.